from completed build Aakopa's main rig. It's very quiet and performs extremely well. It beats out single 120mm radiators in benchmarks. 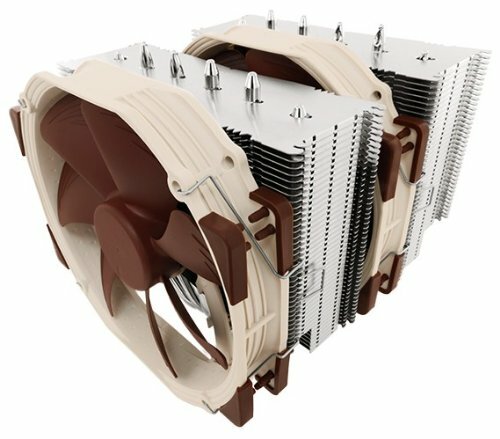 For the looks, I think any Noctua product brings premium look to your computer and as I don't have window in my case I don't really care what it looks like. Only downside is that with my motherboard, the cooler blocks the first PCI-e slot, but as I have 2 of them so it's not really a big deal. 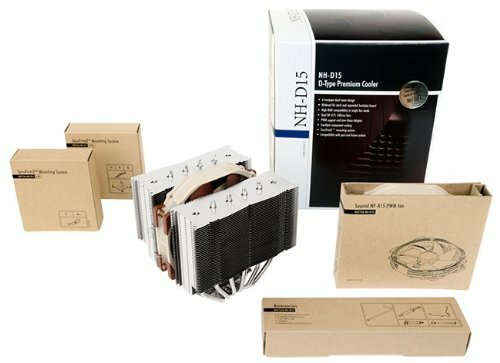 There is a list on Noctuas website where they will tell if your motherboard has any problems with the cooler. Keeps thing under control at all times, without being loud. Without the case fans running, its nearly inaudible with the panels OPEN.... wow. from completed build My new friend called Bob. 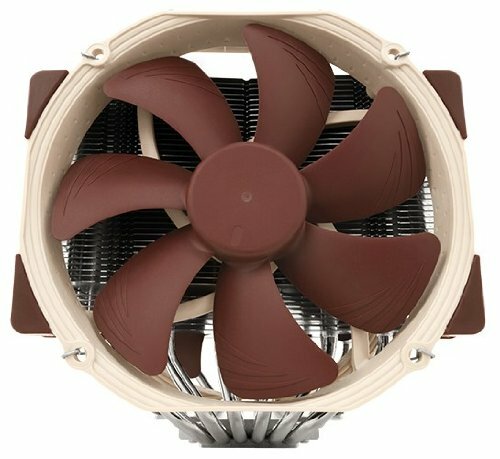 One of the best air coolers in the market, nice big heatsinks and quiet fans when used with their quiet fan adapters (Included). Extremely quiet, extremely effective cooler (idles in mid 30 deg when running on normal mode and mid 40 deg on silent mode and tops out around 60 degrees under load [Non OC]). Has cut outs for the ram to clear large profile ram and movable fan placement. The cooler is heavy and so big that it will touch whatever is in your first PCI slot and can be annoying if the first slot is the only one running in 16x. Masssive cpu cooler its not cheap but if you consider it as a investment it will perform just as good as closed loop water coolers but last alot longer, plus it has a 6 year warranty. My temps are 24c idle, 54c under load. This thing is brutal. I mean, insanely brutal. Even when it's on full power, it's like a negligible amount of sound, and my very hot processor stays perfectly cool. I'll be keeping it for a very long time, and lots of computers.